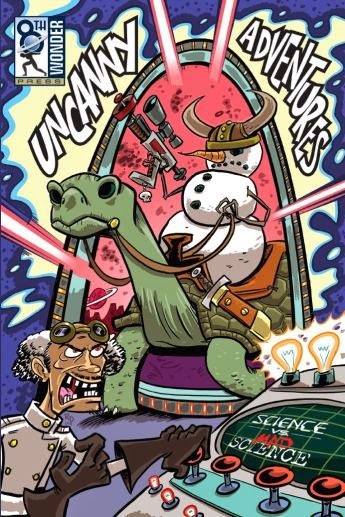 Uncanny Adventures Vol 2: Science V's Mad Science is out now from 8th Wonder Press. It contains my "Hound of Mons" tale with great art by the talented Allen Byrns. The Hound of Mons is a WWI tale about a mad German scientist and is very apt in this the 100 year anniversary of WWI. Lest We Forget.